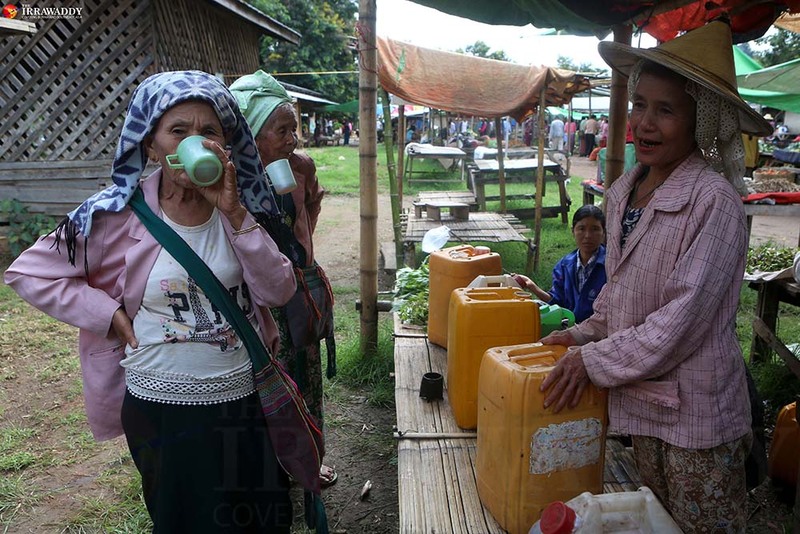 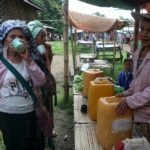 DEMOSO TOWNSHIP, Karenni State — Karenni pork sausage and khawn—local rice wine—are among the popular foods to enjoy on market day in Demoso Township. 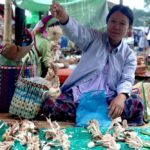 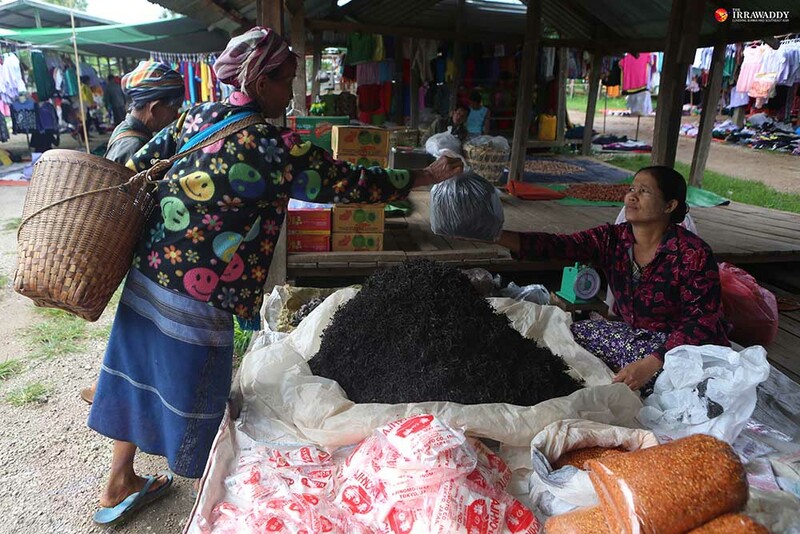 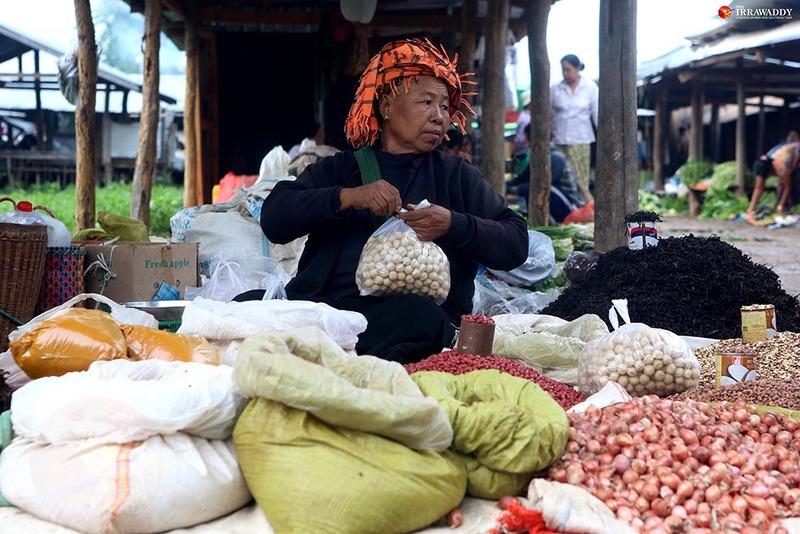 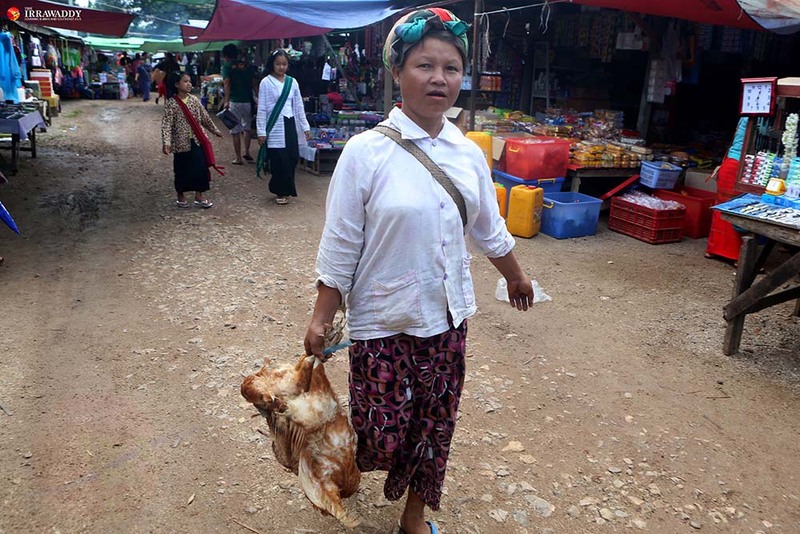 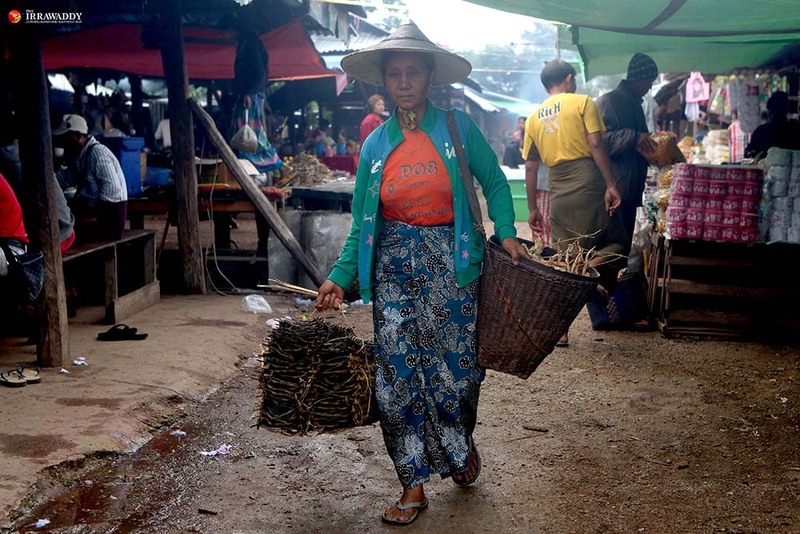 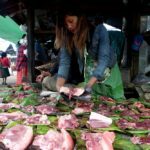 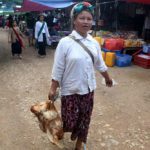 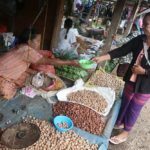 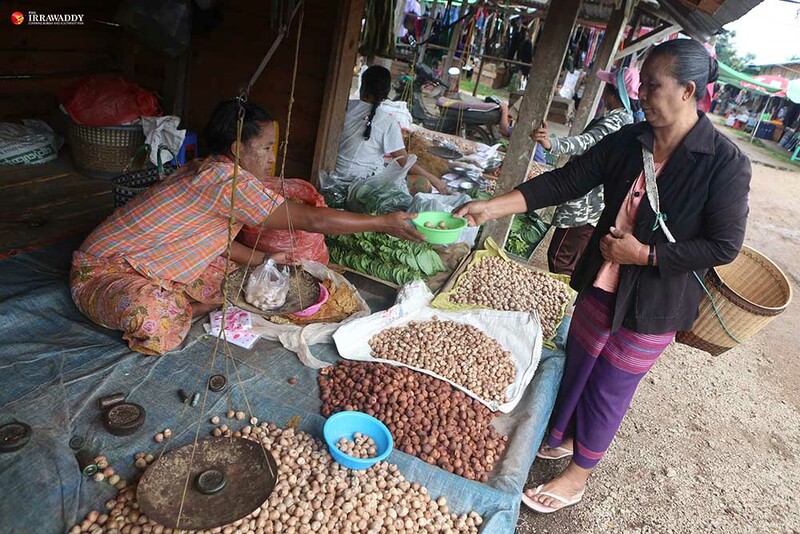 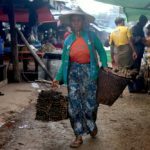 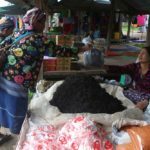 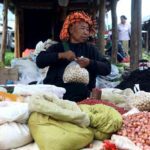 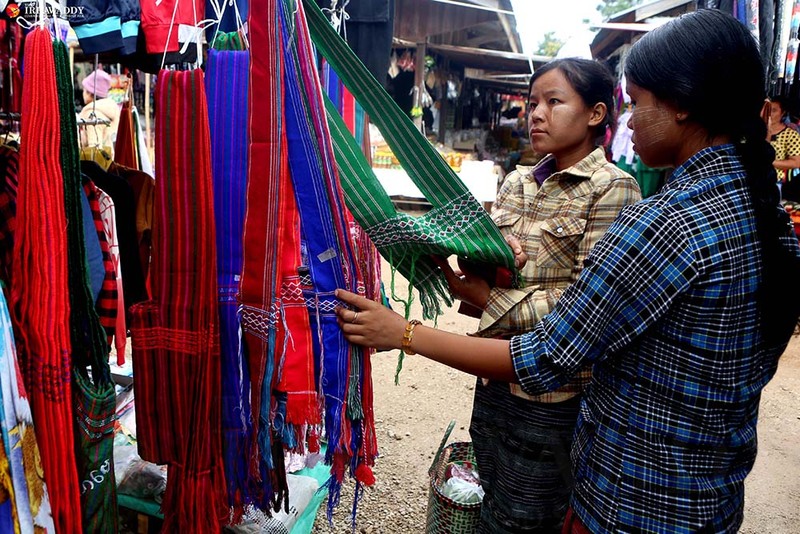 About a 30-minute drive south of Loikaw, the capital of Karenni State, the Demoso Myoma market runs on Monday, Wednesday and Saturday mornings, with shops opening from 4:30 a.m. to noon. 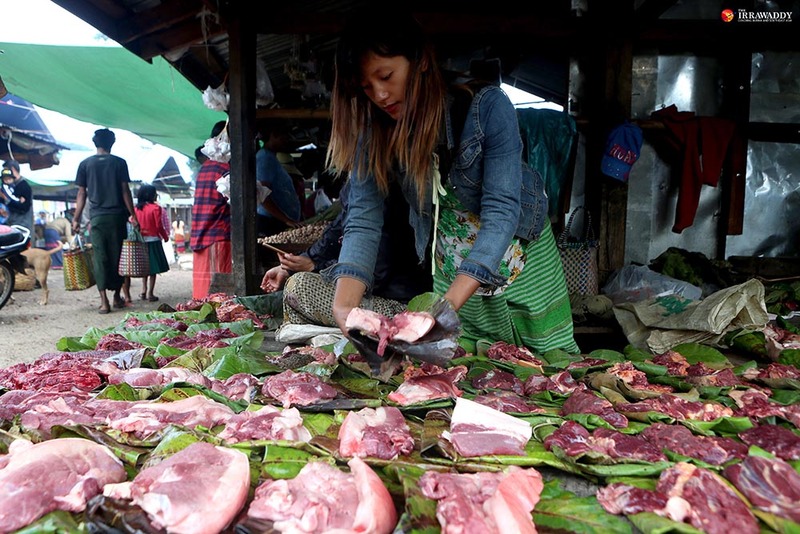 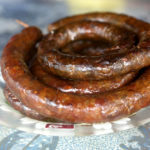 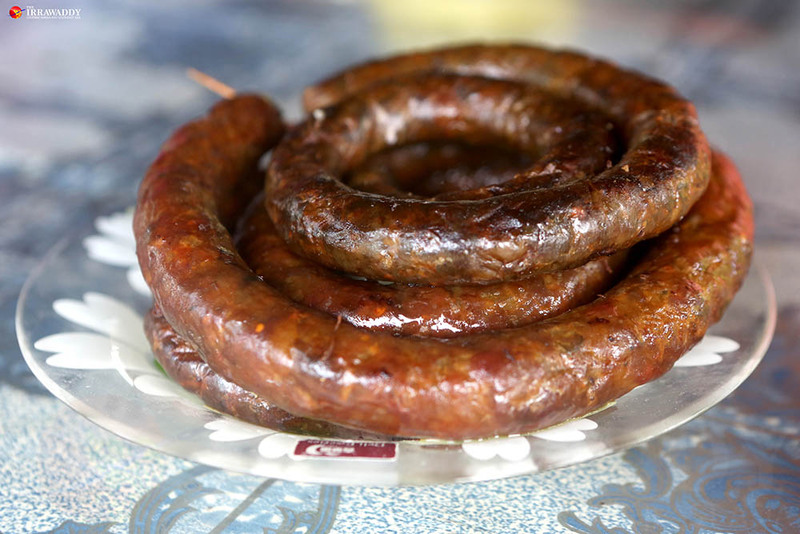 Shoppers can feast on noodles, smoked meat, frog and fish, pork sausage, and a variety of vegetables for breakfast. 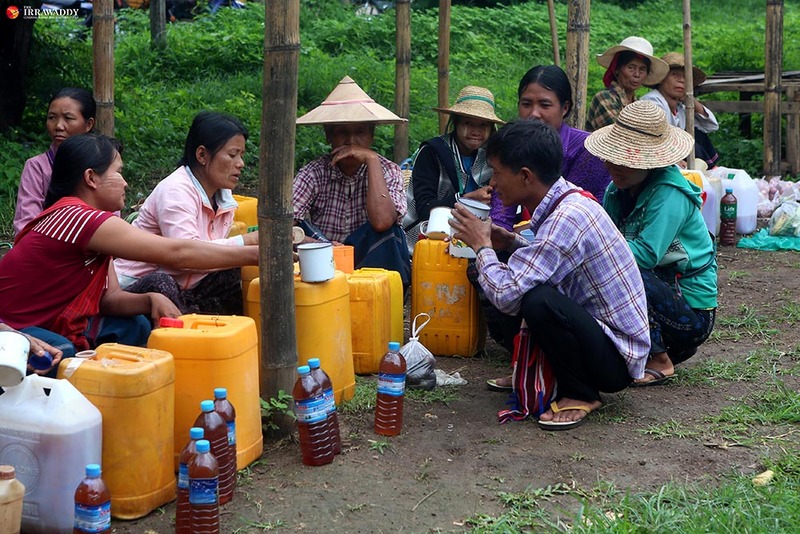 Dozens of women vendors—young and old—sit next to their bottles of yellow, homemade khawn. 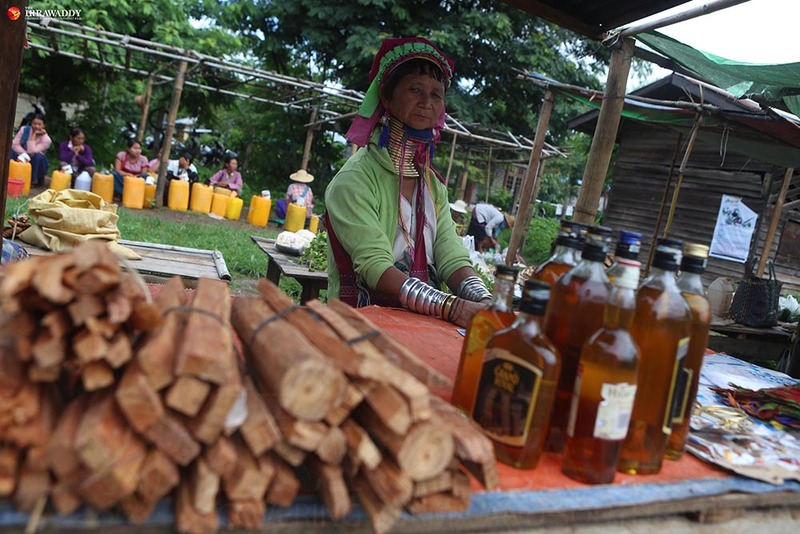 The drink is made in clay jars, but the jars are rarely seen in town or even at the local markets. 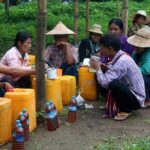 “The earthen jars often break while we carry khawn to the market, so we move it to bottles, which makes it easier for us,” said Daw Sha Myar, a khawn vendor from Dawt Tama Nge village of Demoso. 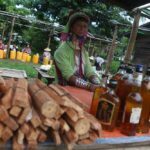 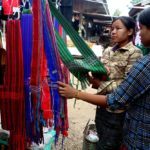 A Kayan woman selling woven scarves and honey bottles stood out among the crowd for her traditional dress, which included brass neck rings—a gradually fading fashion in the state. 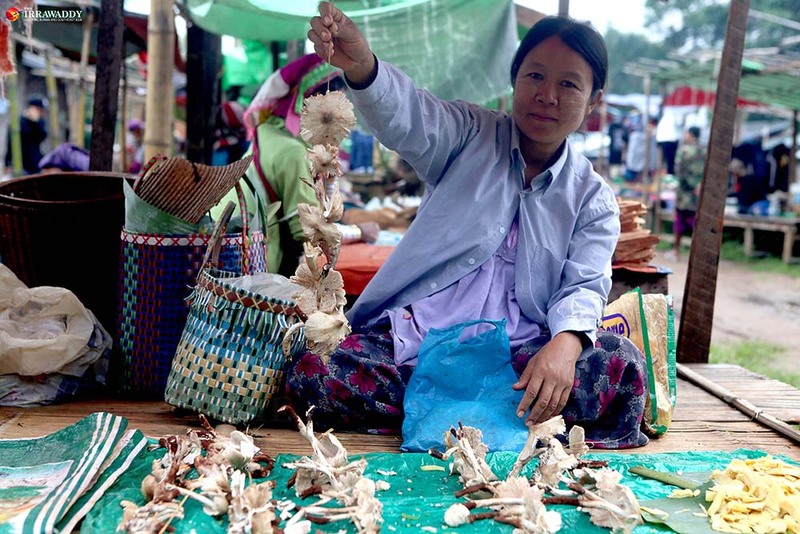 In Loikaw and other nearby places, the locals rely on trade at the weekly market despite having daily street markets in the downtown areas.